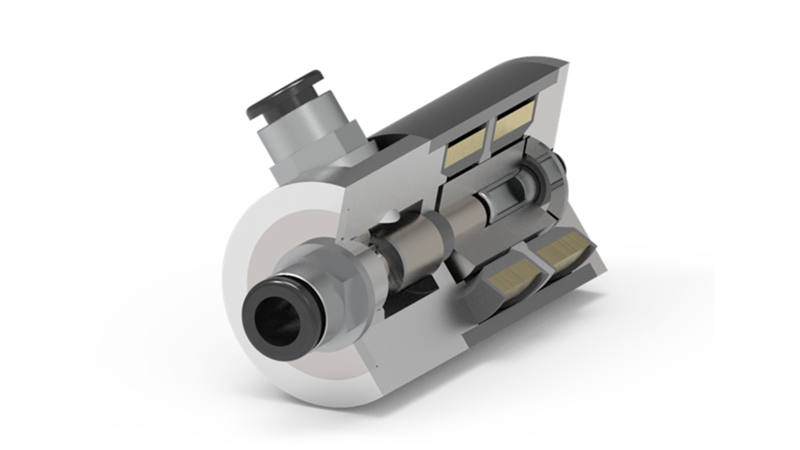 The multistable MAGNETOSHAPE® valve is a highly energy efficient solution which can replace proportional valves and offers very fast switching. It can be used in pneumatic as well as hydraulic applications. We are open to develop customer specific modifications of the concept.